Once UFC 196: “McGregor vs. Diaz” comes to a close later tonight (Sat., March 5, 2016) check out the LIVE post-fight press conference video stream below from MGM Grand Garden Arena in Las Vegas, Nevada, featuring company president Dana White and all the other important mixed martial arts (MMA) players. 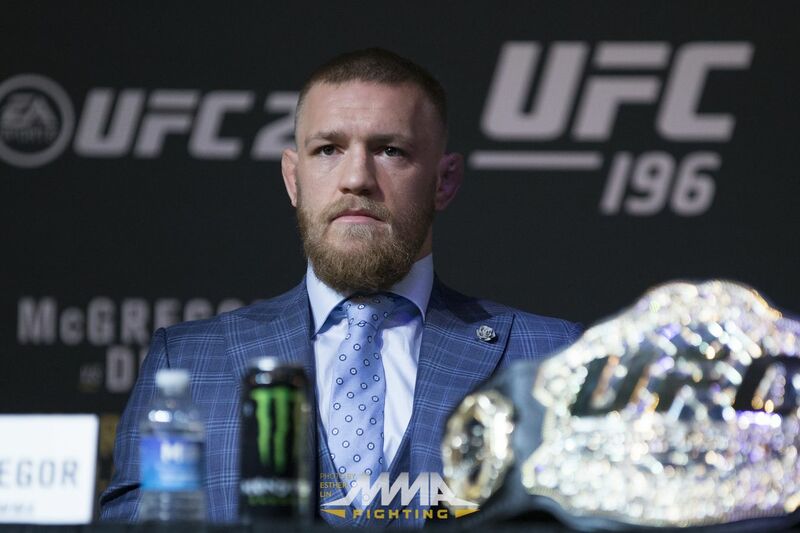 It’s a can’t-miss wrap for the promotion’s latest and greatest “Notorious” pay-per-view (PPV) event from “Sin City,” which featured the heated Welterweight clash between Featherweight champion Conor McGregor, who packed on 25 pounds (see the difference here) in an effort to silence his trash-talking counterpart, Nate Diaz (see final results here). Immediately following the promotion’s latest PPV show, a handful of notable fighters such as McGregor, Diaz, Holly Holm and Miesha Tate, among others — will be on hand for the UFC 196 post-fight press conference, which is now embedded above for an approximate 1:30 a.m. ET start time. Be sure to catch the post-fight reactions from all the major players, as well as up-to-the-minute results of all the UFC 196 post-fight bonuses, including “Fight of the Night” and the other “Performance of the Night” awards. The UFC 196 post-fight presser video replay will also be available above for those who tune in late or miss the live broadcast altogether. For complete results from UFC 196: “McGregor vs. Diaz,” including play-by-play updates, click here and here.